Resveratrol, an antioxidant found in red wine and certain foods, has been touted as a natural way to slow aging and fight cancer, obesity, heart disease, and diabetes. As promising as it sounds, we don’t really know how resveratrol affects humans, since most studies have been conducted on animals and microbes. So a study out this week that looks at resveratrol’s effect on people from two villages in the Chianti region of Italy—where they know a thing or two about red wine—got my attention. Scientists at the Johns Hopkins University School of Medicine analyzed information from about 800 men and women ages 65 and older whose diets were naturally rich in resveratrol from food. They measured the amounts of metabolized resveratrol that showed up in the participants’ urine, expecting to see high levels of resveratrol among the healthiest people. But that didn’t happen. In fact, there was no link between resveratrol levels and the rates of heart disease, cancer, and death. The results were published online in JAMA Internal Medicine. 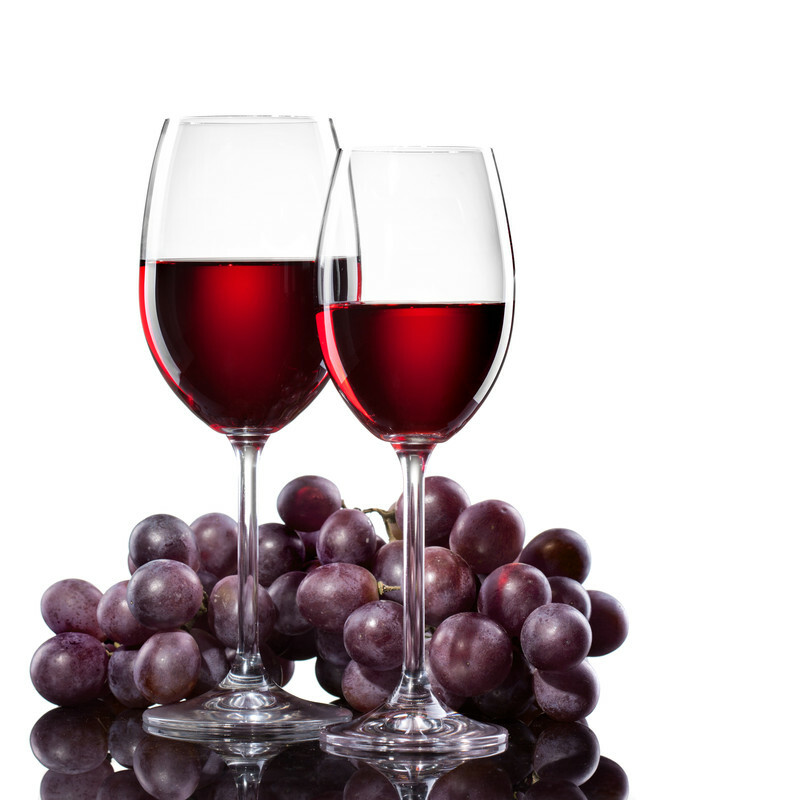 You may already consume a fair amount of resveratrol. It’s found in foods such as peanuts, pistachios, grapes, red and white wine, blueberries, cranberries, and even cocoa and dark chocolate. The plants from which these foods come make resveratrol to fight fungal infection, ultraviolet radiation, stress, and injury. An army of researchers is scrambling to see if that protective power can be extended beyond plants. An early resveratrol researcher was Dr. David Sinclair, now a professor of genetics at Harvard Medical School. He and his colleagues discovered in 2003 that resveratrol could increase cell survival and slow aging in yeast (and later in mice) by activating a “longevity” gene known as SIRT1. protect nerves and the brain in various lab animals. But the dose of resveratrol administered in experiments is always much higher than you’d normally consume in a daily diet. “You would need to drink a hundred to a thousand glasses of red wine to equal the doses that improve health in mice,” says Dr. Sinclair, who was named one of this year’s Time magazine 100 Most Influential People for his anti-aging research. He wasn’t surprised about the results in the JAMA Archives study. The molecules don’t have catchy names yet—with current such as SRT1720 and SRT2104—but they’re showing promising results in mice. Dr. Sinclair is again helping to pioneer much of this research. If we can’t get enough resveratrol from food, should we try to get it from supplements? They’re certainly plentiful in health food stores, and Americans spend more than $30 million on the supplements each year. As you might expect, Dr. Sinclair takes resveratrol in supplement form, and has for the last ten years. He’s not an MD, so he says he can’t recommend it to you and me. how long-term use will affect us for better or for worse. That makes taking a resveratrol supplement a bit of an experiment—sort of like the tests on lab mice. A big difference is that mice have researchers assessing their response to resveratrol, but we don’t. If you take a resveratrol supplement, or plan to, let your doctor know so you both can be alert for any possible harms. If you want to get some resveratrol from red wine, go ahead but keep it moderate: no more than one drink day for women, and no more than two drinks a day for men. (The same advice holds true for other alcoholic beverages.) But if you’re looking for longevity from resveratrol, you won’t find it at the bottom of your wine glass or, at least for now, in a supplement bottle. Interesting study.I believe in the fact that those such foods help to maintain resveratrol in one person,especially the red wine.I look forward for some featured article. What a pointless study! At least 250mg of Resveratrol needs to be taken for it to have any effect. A glass of wine contains 5mg. Go figure! I’ve been taking Transmax for many years, which contains 500mg, and my energy levels have increased considerably. I have also experienced weight loss. Don’t take my word for it. A quick search on Google scholar will provide plenty of other information regarding the benefits of resveratrol. Wow !! nice way to boost health. Very informative, Resveratrol we can prevent o can help, prevent cancers and other heart disease. my ability to read in very dim light. I couldn’t afford to maintain that habit but it was an interesting experiment. The headline suggest a level of certainty not often associated with an observational study . When an observational study suggest health benefit from oh lets say vitamin d no such certainty is shown. For example the usual disclaimer such as while high levels of vitamin d are associated with better health outcomes across a wide range of ailments no cause and effect relationship can be assigned; here no such language is included. When negative data comes out about a tenet of the the profession such as several recent studies suggesting that saturated fat has no relationship to heart disease….no such certainty is shown…an important fact in any medical study is the funding source and any conflicts of interest that the authors may have. Medicine a hybrid between business and religion? Great article. It’s even harder for people like myself that are allergic to all forms of Alcohol. For me, I guess I need to stick to the peanuts, grapes and berries. Let’s hope my kids can stick to it also. boost your diet now you really can do it. Wow nice article, mom. I like this. I love finding out ucimopng appearances and reviews about Casey. Even though his mom and I are sisters you are how I keep up with where he’s going to be. He’s orbiting in a different atmosphere now and his life will never be the same. I told him he was born to do this and BOY has he taken to it like a duck to water. Thanks so much for all you do!